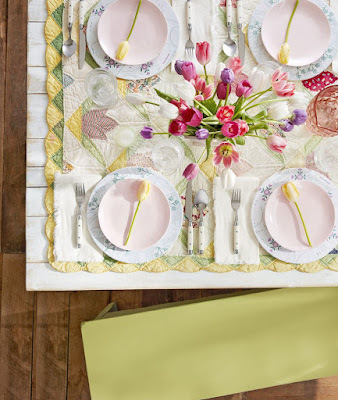 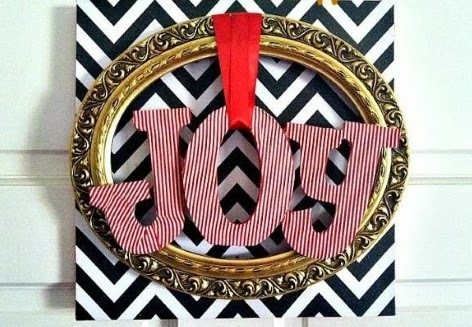 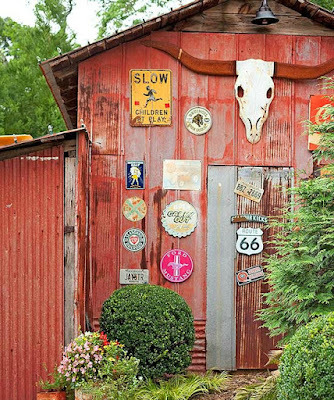 'Mod podge' wreath ~ A thrift store frame and fabric scraps make for a darling DIY project. 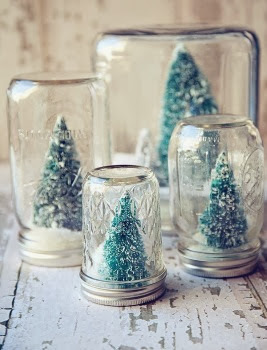 Put your leftover mason jars to good use by creating a magical set of DIY snow globes. 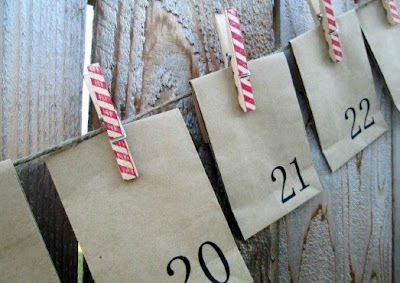 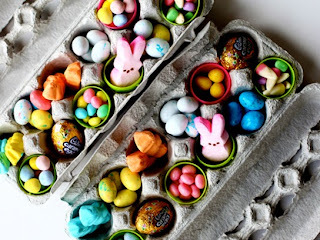 DIY advent calendars ~ Make your own hanging advent calendar with simple materials like paper sacks and clothespins, then surprise the kids with a fun treat inside. 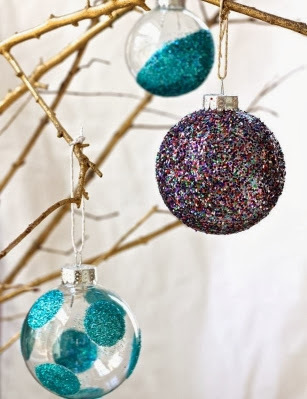 Glitter ornaments ~ Give your Christmas tree a personal touch by creating glitter ornaments for each member of your family. 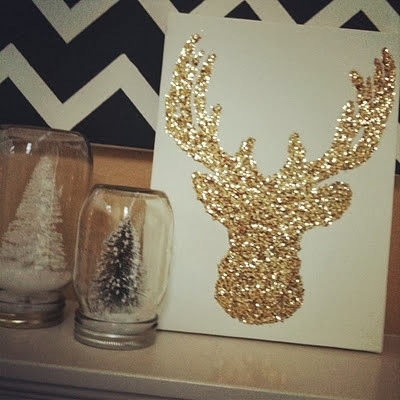 Glitter reindeer ~ Sparkle lovers will have a blast creating glitter reindeer art. Chalk marker wreath ~ Decorate your windows for winter with an easy and festive chalk marker wreath. 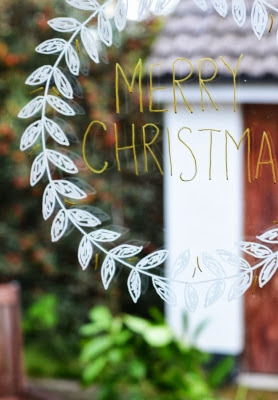 Gingerbread garland ~ Get in the kitchen with your family and bake some decor! 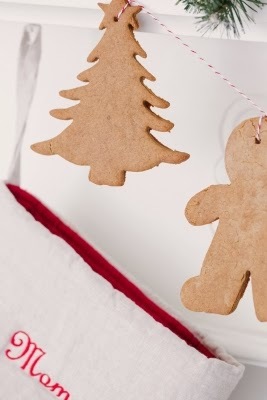 A gingerbread garland is cute AND delicious. 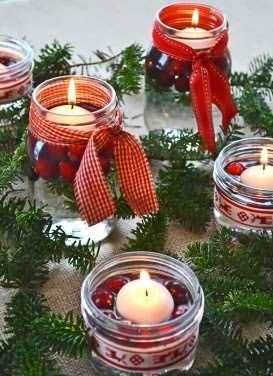 Mason jar candles ~ Another fun use for mason jars, and a good project for older kids, are DIY Christmas candles. 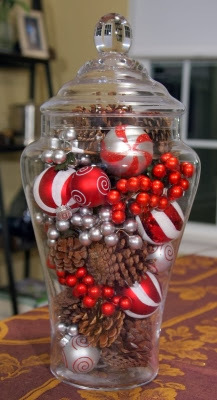 Seasonal centerpiece ~ An apothecary jar can be filled with bits and pieces like ornaments, beads and pine cones to create a seasonal centerpiece. 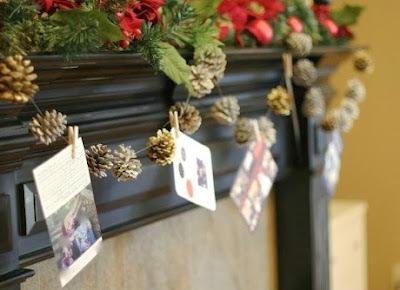 Photo Garland ~ Display your family’s Christmas cards in a unique way with a pine cone garland. 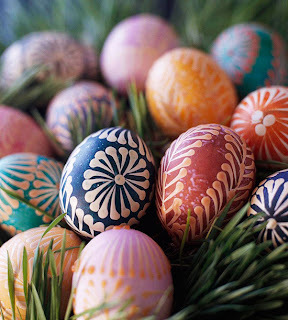 The kids will enjoy hanging the cards as they arrive.